Update: BD Model Making has now closed for business. Ben Davidson is now employed full time at Foster+Partners. However please feel free to browse the gallery. 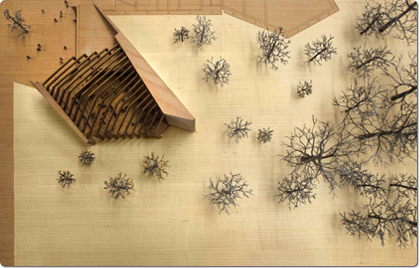 Architectural models are essential for a practice to realise their projects potential, whether it be an elevational, sectional, massing, schematic or landscape model. Three dimensional models or scale mock ups, built with subtle colour schemes and sympathetic materials are what I strive to achieve. I work with many leading architects and celebrated practices within central London. I can meet the demands of a modern day practice, delivering bespoke, clean and well constructed models. Here is a selection of the diverse styles and media that I work with on a model build. Choice of materials is key for a project to be realised. I hope that the models in my gallery show that I have a keen awareness of this. 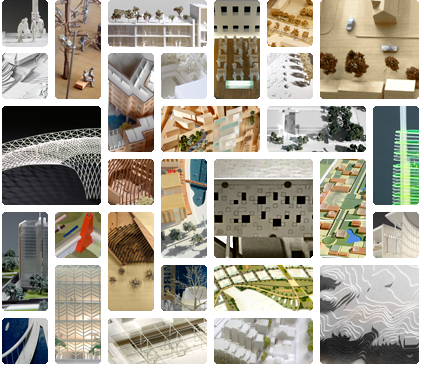 Here are some links to online articles about projects I have produced models for. Watch this space for future updates. Here are some examples of models which I have made or been involved with, which have subsequently been exhibited at various institutions. Watch this space for future updates. On the right are common questions I am asked by potential clients. If you have a query which has not been addressed here, please contact me using the details on the top of this page. Hover your mouse over any thumnail to see more details. Click the thumbnail for a larger image. This is an article on one of my first ever architectural models which is now on display in the London Transport Museum. This is an article in Building Design Online featuring the model of Canford School in Dorset. This is an article in the BBC website featuring a model that I produced for Bennetts Associates of Mayfields government offices scheme. McChesney Architects website features a finished model I made for them for Scotland Yard. This article on the NHS website features a model I built for the Medium Secure Mental Health Unit at St Bernards Hospital in Ealing, West London. Above is the 1:100 model of Kings Cross station concourse which I completed in 2005 and was subsequently accepted for entry into the Royal Academy Summer Exhibition of that year. This was designed by John McAslan and Partners and engineered by Arup Associates. The actual station concourse is now completed and operational. Above is a 1:250 scale model of the Canford Music School concert hall, which was selected for the Royal Academy Summer Exhibition in 2012. 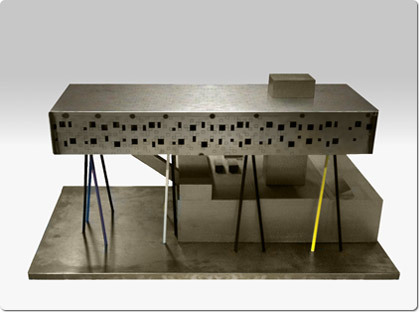 Above is a 1:100 scale model which I built with Will Alsop at ALL Design. This is the Alsop scheme of the Ontario College of Art and Design. 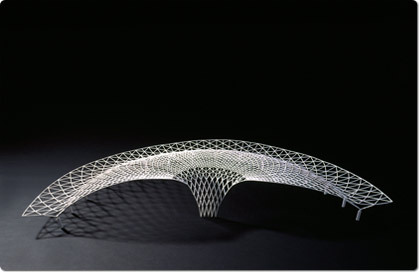 The model was featured in the Victoria and Albert Museum, exhibition of British Design 1948-2012. 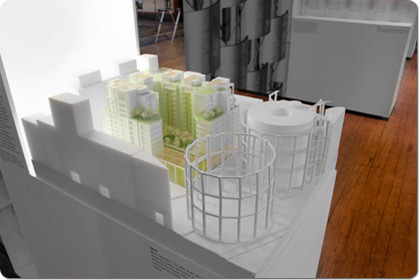 Here is a 1:200 model of a housing scheme in Kings Cross, which was included in David Morley Architects exhibition called 'Five by 5' shown at the RIBA Galleries in London in October 2012. 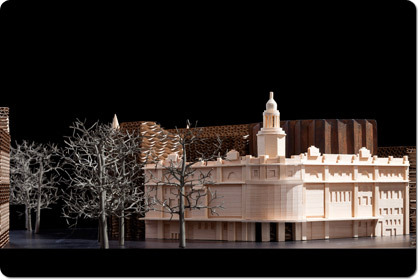 Above is a 1:200 model of the Shaftesbury Theatre which was selected for the Royal Academy Summer Exhibition in 2013. 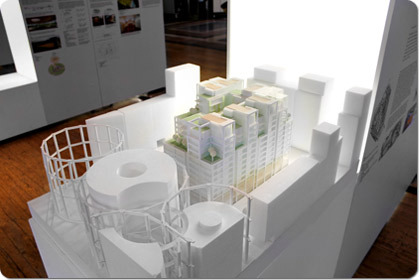 The model was submitted by Bennetts Associates Architects. How do you quote for a model? I prefer to have a meeting with the client to get a general feel for the style of model you need, then I will need CAD drawings, elevations, sections, plans, any information on levels around the site and relevant site photos. How long do you need to make a model? The duration of a model build depends on the material types and specific requirements from the client. I will always specify a time frame for the model production. How do I chart a models progress? I will always inform a client of the progress of a model, and if need be I can send digital photos. Many of my clients prefer that I work in-house to produce their model. My studio is within central London, so I have access to clients throughout London and the UK. How do I pay for the model? I will invoice you once the model has been completed. This gives you the full information on how to deliver payment. Can you deliver the model? Yes this can be arranged. I generally prefer to hand deliver a model to a client, but I can arrange delivery to anywhere in the UK. This will be taken into account in the final invoice.